Chris Claremont’s X-Men will be released by XLRator this fall. Great news and I’m looking forward to watching SMC on Netflix Europe! Is there any chance that all the documentaries of the last years will eventually be available on Sequart’s online store? In my own pre-credit-card days I liked about your download site that one needed just a Paypal account. As far as I know, Netflix and Vimeo require credit cards in addition to Paypal. 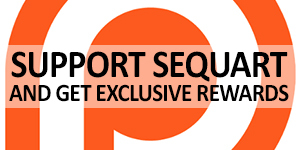 It may have been only me who noticed that detail as an asset of Sequart’s store, though!